At Suncoast Auto Transport, their entire team of senior transport coordinators is readily available to work with you and your transport needs as easily and as quickly as possible. Their customers always come first. Suncoast is proud to offer their clients with a wide variety of car transport services. What sets them apart from most is that your vehicle remains on the same carrier throughout the entire transport. There is then no need to load and unload your vehicle multiple times. When you choose Suncoast, your vehicle will never come off of the carrier or be left at any terminal. 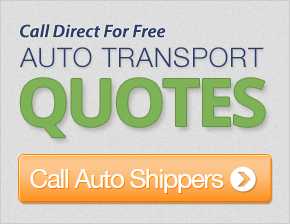 Door-to-door shipping means that your vehicle will be picked up and delivered to the addresses provided. Suncoast Auto Transport customers also have the convenience of online tracking of their vehicle during transit that locates their vehicle with the click of a button. Customer service representatives are happy to track each vehicle, but customers can simply enter in their reference number and click on the tracking button provided on any page of their website to obtain up-to-date information on their transport. You were very helpful as this was the first time I had transported a car. The delivery company was excellent and took great pains to make sure the car would not get any kind of damage during transport. I would certainly use this service again if necessary. Your company was like a true Santa Claus and delivered like the true champ your are. I would and will recommend for future needs both for myself and others. Thank you! I have no complaints and will recommend your firm to anyone who asks about moving a car. This was my first move in many years and all the nervousness was swept away when I saw the car arrive. The man who drove the transportor should be given a big hand also. Men like him make a company look extremly good. His personality was in total customer awareness satifaction. I look forward to using your firm again soon. The driver on the East to West leg was super. He checked in regularly as to his ETA and arrived and handled our car efficiently. He then called from Arizona to give us a rough idea of when the car would be delivered 24 hours in advance. He gave us the name and number of the driver from Tuscon to Tempe. It all worked out very well. I was very impressed with how effortlessly it all happened. I would absolutely use your services again. Very friendly, very professional and really, really quick. Great job guys - Thanks! Extremely helpful in all of my questions and assistance during this transaction The car transport personnel were also extremely pleasant and helpful. Thank you for a job well done. I would definetly recommend your service to my friends and family. Shipped my truck from Bremerton WA and we were very happy with the results. I would recommend you guys to everyone needing a vehicle moved anywhere in the US. Thank you for your services! The two fellows that picked up the vehicle were extremely competant and polite. Very much satisfied with the service! Hopefully I would not have to ship a vehicle to another state, but if I every have to I would use your company again. Continue to do the great job you do. I was pleasantly surprised with the courteous and efficient serice I received and would not hesitate to recommend your service to anyone. Priced better than competitors. All positive. Excellent customer service and prompt delivery time. All your reps were pleasant and knowledgable. Thanks again and we will be calling again in May to have our car picked up and delivered back to New York. It was my second time using your company I will definitely use you again on any future auto transport needs. I am very happy with the speed of pickup and delivery. The price was higher than others, but the service was better and more reliable. Others could not make the pick up and delivery as quickly. Very helpful customer service and fast delivery.